He’s awakened me.Tor. My father’s best friend. Fifteen years older than me, he’s always been my protector. The one I should never, ever want. But I was born to be his.She’s always loved me. Kenzi. My best friend’s daughter. I held her the day she was born, and I never let go. She’s forbidden to me. But she’s the only one that really gets me. Everything we desire.And now I want the one thing I can’t have… I want her. “We want you to be her Godfather,” Asher says as he gently lays his newborn baby into my arms. I have to tear my gaze away from her spellbinding eyes to look up at him from the chair I’m cradling the baby in. “Me?” I repeat, glancing over at Ember in the hospital bed, who beams back at me with a tired, yet genuine smile. I kick back the pang that hits my stomach. I didn’t get the girl…but I got something better that I never expected. A gift in the form of a little tiny hand wrapped tightly around my finger, huge eyes like gems staring up into mine like I was the most amazing person in the friggen’ world, and the first glimpse of what I could already tell was going to be a heart-stopping smile. At that moment, a connection was born.That was it. 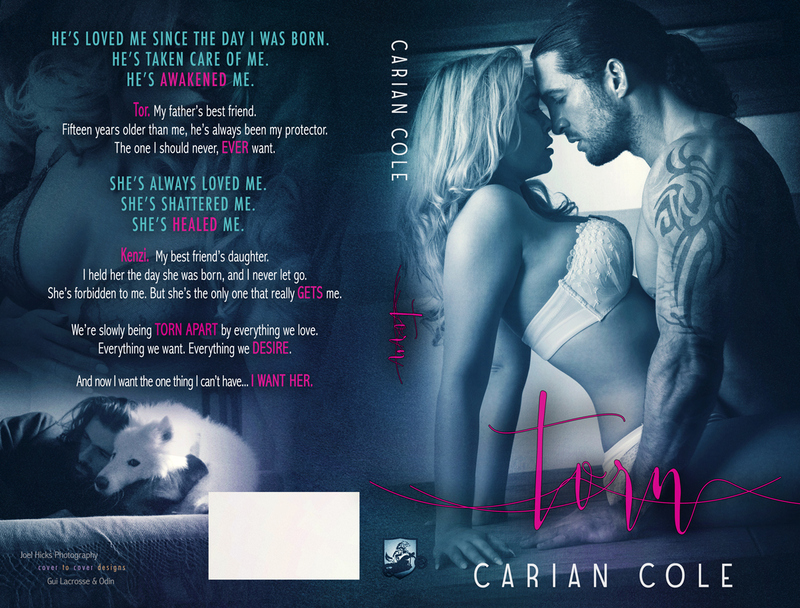 This entry was posted in Book Boost, Erotica, FAVORITES, NEW RELEASE, Spin-Off, Stand Alone and tagged Carian Cole. Bookmark the permalink.